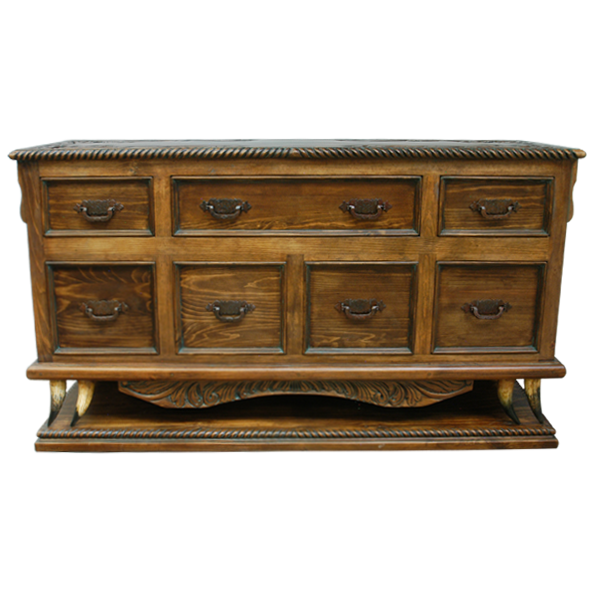 With its exquisite, hand carved designs and its steer horn details, this handcrafted, Western style buffet is essential to your Western décor. 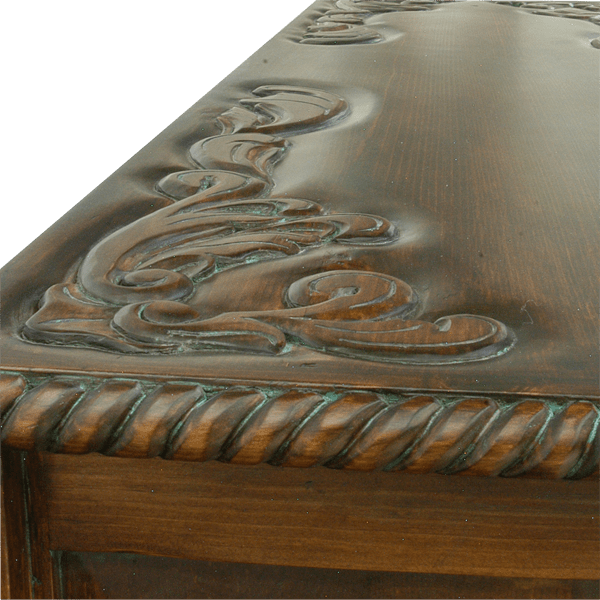 Each corner of the open, wide top of the buffet is adorned with ornate, hand carved, floral designs, and the top rim is embellished with an elegant, hand carved, twist rope design. Directly below the top rim are three, horizontal, rectangular drawers, with the center drawer being the largest. The two, smaller drawers have a centered, hand forged, iron handle, and the large drawer has two, hand forged, iron handles. Below the rectangular drawers are four, horizontal, square drawers, and each drawer has a hand forged, iron handle in its center. The buffet has a lower, inverted crest with beautiful, hand carved, floral designs, and each corner of the base is enhanced with two, inverted, steer horn supports. The buffet rest on a solid wood platform, and the rim of the platform is enhanced with a hand carved, twist rope design. Each lateral side of the buffet has a decorative, geometrical cut panel. 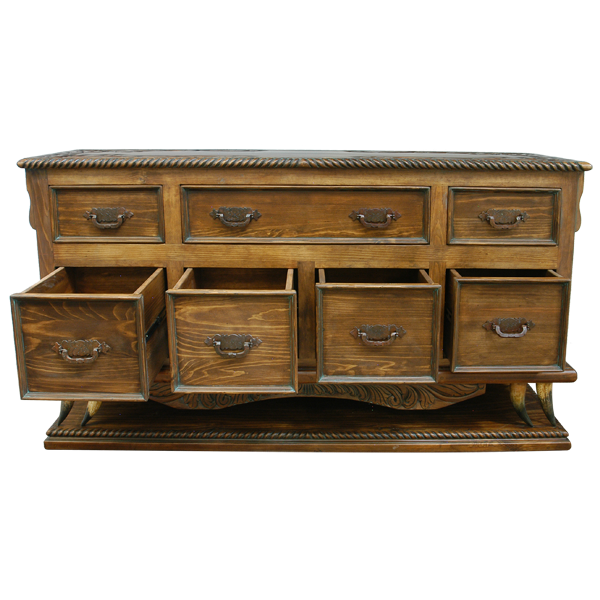 The buffet has an antique finish, and it is made with the best, sustainable, solid wood available. It is 100% customizable.